FXS stands for Foreign Exchange Subscriber that delivers the analog lines to the Subscriber/PBX/system. FXO stands for Foreign Exchange Office that is used to receives the input via subscriber/System. FXS and FXO are the name of the ports used by analog phone lines (also known as POTS – Plain Old Telephone Service) or phones. FXS – Foreign exchange Subscriber interface is the port that actually delivers the analog line to the subscriber. In other words it is the “plug on the wall” that delivers a dial tone, battery current and ring voltage. FXO – Foreign exchange Office interface is the port that receives the analog line. It is the plug on the phone or fax machine, or the plug(s) on your analog phone system. It delivers an on-hook/off-hook indication (loop closure). Since the FXO port is attached to a device, such as a fax or phone, the device is often called the “FXO device”. An FXO Gateway: To connect analog phone lines to an IP phone system you need an FXO gateway. This allows you to connect the FXS port to the FXO port of the gateway, which then translates the analog phone line to a VoIP call. FXO 4 port: An FXO gateway can be implemented to provide access to multiple POTS lines. This model offers 4 FXO ports for connecting to the PSTN. FXO 8 port: An FXO gateway can be implemented to provide access to multiple POTS lines. This model offers 8 FXO ports for connecting to the PSTN. FXO 16 port: An FXO gateway can be implemented to provide access to multiple POTS lines. This model offers 16 FXO ports for connecting to the PSTN. FXS 2 Port : Connecting to VoIP services via an FXS Gateway is a simple and cost effective way to wrestle extended returns from your existing analog phones or fax machine. 2 FXS Ports allows up to 2 analog devices to access VoIP through your IP Network. FXS 4 Port : Connecting to VoIP services via an FXS Gateway is a simple and cost effective way to wrestle extended returns from your existing analog phones or fax machine. 4 FXS Ports allows up to 4 analog devices to access VoIP through your IP Network. FXS 8 Port : Connecting to VoIP services via an FXS Gateway is a simple and cost effective way to wrestle extended returns from your existing analog phones or fax machine. 8 FXS Ports allows up to 8 analog devices to access VoIP through your IP Network. FXS 16 Port : Connecting to VoIP services via an FXS Gateway is a simple and cost effective way to wrestle extended returns from your existing analog phones or fax machine. 16 FXS Ports allows up to 16 analog devices to access VoIP through your IP Network. FXS 24 Port : Connecting to VoIP services via an FXS Gateway is a simple and cost effective way to wrestle extended returns from your existing analog phones or fax machine. 24 FXS Ports allows up to 24 analog devices to access VoIP through your IP Network. 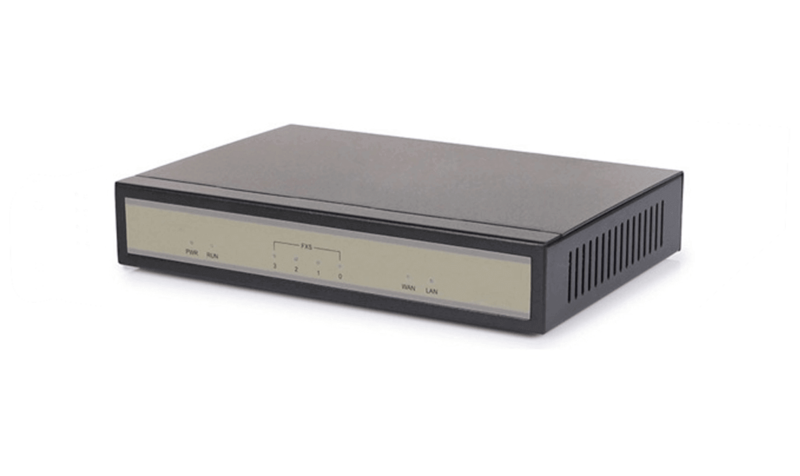 FXS 32 Port : Connecting to VoIP services via an FXS Gateway is a simple and cost effective way to wrestle extended returns from your existing analog phones or fax machine. 32 FXS Ports allows up to 32 analog devices to access VoIP through your IP Network. FXS 112 Port : Connecting to VoIP services via an FXS Gateway is a simple and cost effective way to wrestle extended returns from your existing analog phones or fax machine. 112 FXS Ports allows up to 112 analog devices to access VoIP through your IP Network. Q1)	What is FXS/FXO gateway? FXS stands Foreign Exchange Station that converts the signal analog to digital and FXO Foreign Exchange Office that convert the signal digital to analog. To connect analog phone with computer we need an FXS gateway in which all analog lines will be insert & it will be configure with the unified communication system over the local network. On the other side we need an FXO gateway to be configuring to receive the signal passing by FXS Gateway via unified communication system which helps to make & answer the calls through the analog phone. Q2) How it technically works? FXS receives the call & throw to the FXO gateway via Unified Communication System. FXO will pass the call to the FXS gateway via Unified communication system. Q3) What is the reason behind not to pass the CLI? Sometimes CLI is blocked by service provider end & in that case gateway is unable to capture the same. It can be enable to requesting the provider. Q4)	How many lines we connect with FXS? It is available in range of 2, 4,8,16 ports etc. each port will consist a single line.